Romancing SaGa 2, originally released only in Japan in 1993, has been completely remastered and now receives its first ever official English translation! The SaGa series is one of Square Enix’s most beloved. The first three titles were originally branded overseas under the “FINAL FANTASY LEGEND” moniker , and garnered critical acclaim for their complex yet compelling combat system. 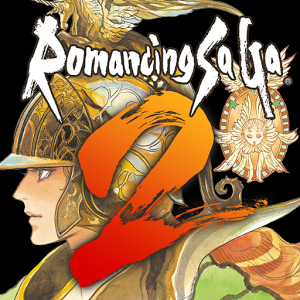 Romancing SaGa 2 takes the varied gameplay of other entries in the series and combines it with an open-ended free-form scenario system whose story is as vast as the world in which it plays out. The player takes the role of a succession of emperors, painting the history of the world with each and every action. Familiar series hallmarks such as formations and glimmers make a return in this unique title. It all begins with the song of a lone bard in a bustling pub. Great nations such as the Varennes Empire, which had once ensured peace throughout the world, stagnated and atrophied over the course of centuries, and sinister forces started emerging in outlying areas. Ere long, peace spiraled into war and the common folk spoke in hushed words of the Seven Heroes—historical figures who saved the world once and who, it was hoped, would do so again. Android 4.2.2 or above recommended.